KGF 2: Sanjay Dutt To Be Roped In For The Sequel Of This Yash's Blockbuster? 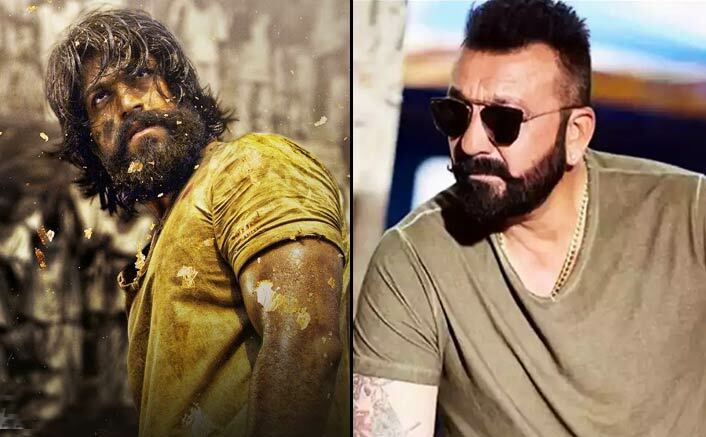 Home » Bollywood News » KGF 2: Sanjay Dutt To Be Roped In For The Sequel Of This Yash’s Blockbuster? The movie is said to go floors in Summer, 2019 and if Sanju joins in, the anticipation will become tougher for all of us. Kannada actor Yash’s action flick KGF which released late last year, went onto become a major success in all languages. While the makers are already working on the sequel, and the script reportedly is ready, the latest rumours suggest that the makers have plans to rope in Sanjay Dutt for a pivotal role! According to a recent report by entertainment portal, Bollywood Life, the makers have already approached Sanjay Dutt for a role and are in conversation with the actor’s team. Moreover, a meeting will soon be held in order to narrate the script to Dutt. Starring Yash, Srinidhi Shetty, Ramya Krishna, Ananth Nag, John Kokken, Achyuth Rao in the lead, KGF was a Homabale Films production directed by Prashanth Neel, produced by Vijay Kiragandur, and Ravi Basrur composed the music. It marked Excel Entertainment’s first Kannada venture and the production house is elated to be associated with a mega ambitious project as such. Set in the backdrop of the ‘70s, the two-part period film is believed to be the most expensive film ever made in the Kannada film industry and released in Tamil, Telugu, Hindi & Kannada.